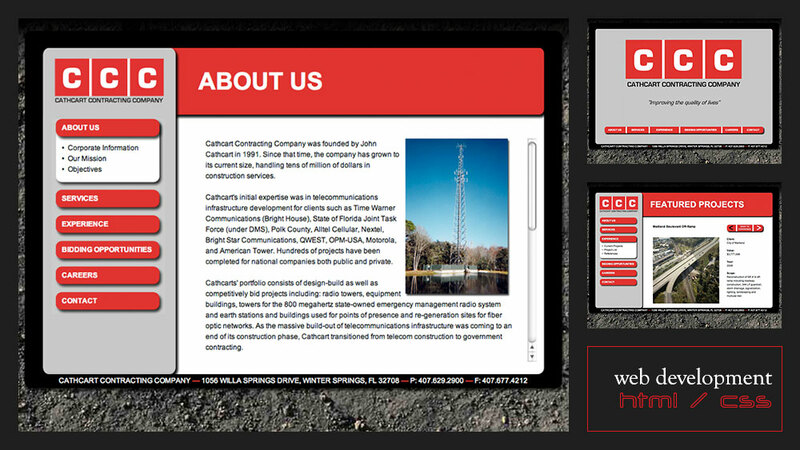 Cathcart Contracting Company contacted us to redevelop their company website. They wanted a more sophisticated look with a simple and intuitive navigation system. In addition, their previous site had no in-depth project history or imagery, so it was crucial to their success in the public sector to provide current and featured experience. The client also wanted to perform their own content updates, so the site was coded with the flexibility to easily allow for additional pages. We were also asked to prepare a training manual and offer a detailed training session to facilitate these updates. NOTE: The site represented here is an archived copy. The client has since gone out of business.